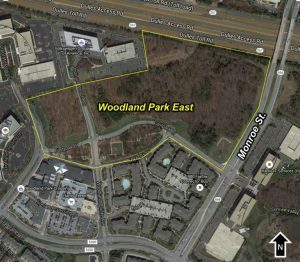 A development project just west of the future Herndon Metro station has been given the go-ahead by the Fairfax County Board of Supervisors, who approved it at their meeting Tuesday. The mixed-use Woodland Park East development will include 678 residential units: 74 single-family attached homes, 90 two-over-two stacked townhomes and 515 multifamily dwelling units within two buildings. Two office buildings — 16 stories and 14 stories — that will include 20,000 square feet of optional ground-floor retail are also part of the plan. The property will also include 6.1 acres of public parks and 2.8 acres of private open space. The county Planning Commission recommended the project for approval in January. 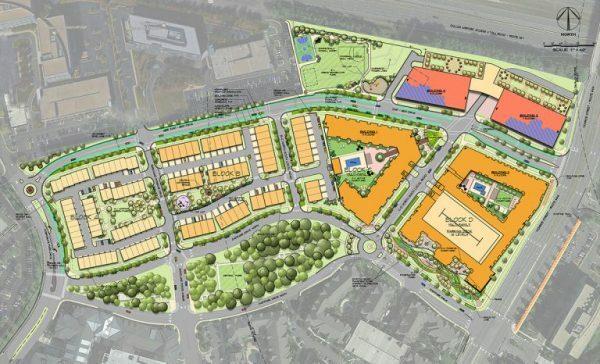 The development is planned to provide affordable housing, with 12 percent of the total units (approximately 81) set aside as affordable or workforce housing. 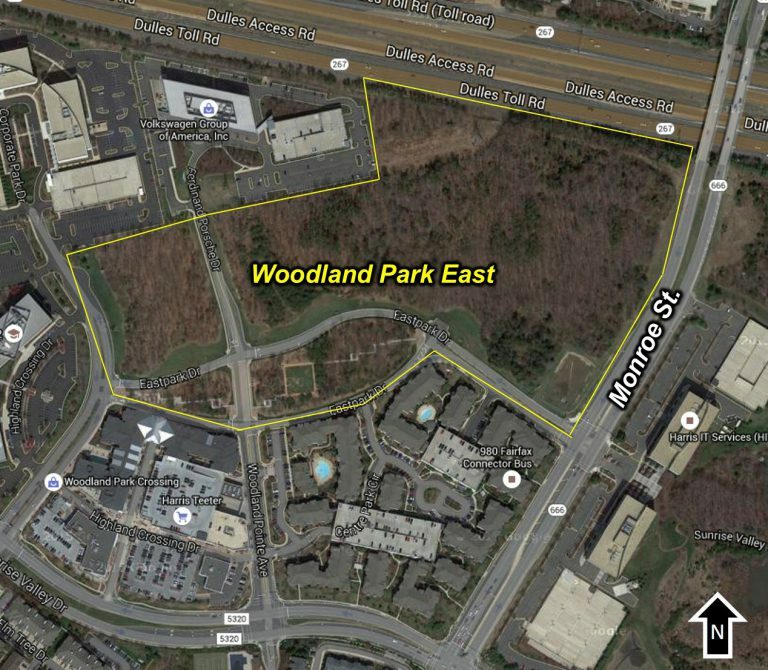 The property, which borders the Dulles Toll Road to the north and Monroe Street to the east, is owned by Tishman Speyer. Development will be done by NVR Inc.